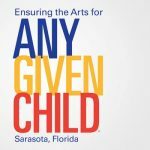 ARTbeat is our weekly e-newsletter that highlights the variety of arts and culture events in our region for the upcoming week. Members of the Alliance who submit their events on the Alliance online calendar are also eligible to have their events featured in ARTbeat, our popular weekly e-newsletter. Not every event can be published in ARTbeat due to space limitations. Please note that ARTbeat is events based and cannot include fundraisers and galas.